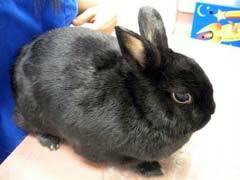 Rabbit ear infection is a common problem that most rabbit owners will face at some point in time. Ear infections in rabbits are most often caused by mites, which take up residence in rabbit ears and continue to propagate until the infestation is treated. For that reason, rabbit ear mites should be dealt with as soon as the problem is apparent in order to avoid further complications. 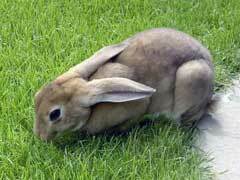 Canker, a bacterial infection, is also a danger to rabbit ears that should be treated right away. If your rabbit develops an eye infection, there’s no need to panic. 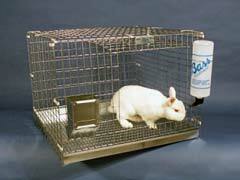 Rabbit eye infection treatment doesn’t have to be a scary prospect. Symptoms of eye infection include puss in and/or around the eyes, bleeding or swelling in the eye region, excessive tearing, and rabbit hair loss around the eye sockets. There are several things that can cause an infection in your rabbit’s eyes, some much more dangerous than others. 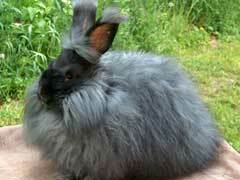 If you have a pet rabbit that suffers from rabbit skin problems, then this article is for you. There are many reasons for why your furry friend is becoming less furry, or scratching an itch more than what seems necessary. As with any type of pet, caring for rabbits is very rewarding but also comes with a fair share of ups and downs. If you think your furry friend may have a skin condition, don’t panic. In caring for rabbits, one of the more common health problems to be on the lookout for is rabbit mites. Below are some of the more frequently seen types, each of these can cause serious damage to your rabbit if left untreated. Also known as fur mites or walking dandruff, the mite Cheyletiella parasitovorax is a persistent mite that invades around the head and back of the head areas of the bunny. While rabbit fur mites generally do not directly carry other diseases, they can seriously irritate the rabbit’s skin and bring about other skin problems. Rabbit Runny Stool – What Is Causing Rabbit Diarrhea? 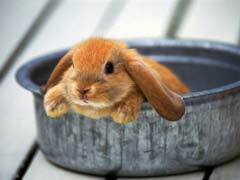 A healthy rabbit’s stool is small, dry, and round—rabbit diarrhea is rare. 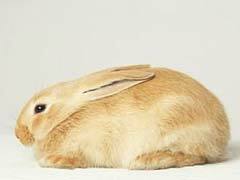 The instances that give a rabbit runny stool are relatively few, and none are to be taken lightly. 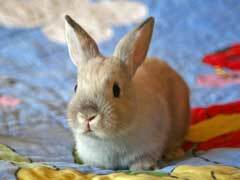 When caring for rabbits younger than eight weeks old, diarrhea is actually a sign of life-threatening condition. Many rabbits are sold at a much younger age than healthy, to appeal to buyers looking for “small and cute.” However, rabbits need to nurse from their mothers for those eight weeks, as their mothers’ milk protects them from harmful bacteria. 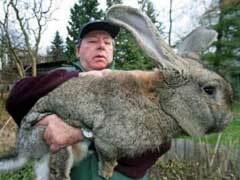 Unfortunately, one of the most deadly to a baby rabbit is one that humans carry naturally. 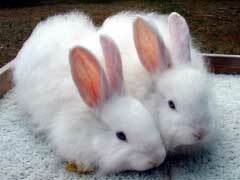 Pet Rabbits For Sale – What Questions To Ask Breeders? 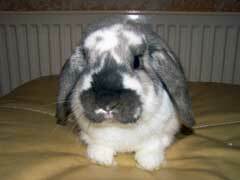 When looking for a pet bunny you’ll tend to find the best deals by buying direct from breeders. Much like buying anything else direct from the manufacturer, those with pet rabbits for sale typically assume you know what you are getting into. Others, though, may know that you don’t know what you’re getting into, and they may take advantage of that, forcing the sale of more than you can handle.